Already the holiday season has swept down on us like Assyrians or wolves on folds, cohorts gleaming in silver and gold. All around us folks are holding out their hands for holiday socorro or urging you to some display of excess consumption. Go for it, gente. Share. Spend. Empathy for others, elegance for yourself. Do remember, however, the best things in life are free and low calorie. For example, today's On-Line Floricanto comes at the price of a mouse click. 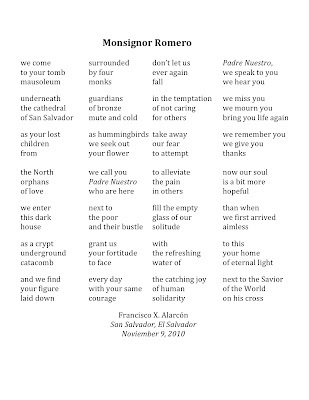 Remembering that price does not equal cost, for the price of the mouseclick you end November 2010 with five poems selected by Francisco Alarcón and his co-moderators at Facebook's group Poets Responding to SB 1070. Enjoy these five poets. See you in December. to fight an unjust law. He said,"Being brown's no crime at all." to speak and have his say. Yes, Martin's here in Arizona. to organize and lead a march. he told the governor that she lies. Now he's facing time in Arizona. is filled with people such as these. and unashamed of the color of their skin. They're all behind bars in Maricopa. of the open hand and not the clenched fist. and the hateful man he is. Both the governor and sheriff know the end is near. Their shadows will all soon disappear. Let us chase them out of Arizona! but based on the truth of God's eternal law. Let us go to Arizona! and help justice find a home. Yes, let us go to Arizona! We will meet in Arizona! Claim it was a Mistake"
black man on a city street. good ol' coffee and doughnut boys. to protect our free society. lest we make some people uncomfortable. "Let us not make race an issue..."
why should I not make race an issue? the war isn't about them. To those that are against SB1070 and acts inhumane. To all the U.S. Veterans that have been deported... ?!! To those in positions of 'power' but shouldn't, because they are inept! To those that no matter what, if or when, ARE always content! To All the Beautiful Children (and their parents) of the World! To those that keep on going, sharing their WISDOM and their STRENGTH!! To All the members of my Beloved Family! To All my Friends, far or near, I LOVE you all the same! To my Ancestors! To my Teachers! Nothing more needs to be said. To ALL the Yoga Teachers Trainees of Fall of 2010!! To everyone that has 'written' on this page. To LOVE, COMPASSION, KINDNESS, INTEGRITY, COURAGE, HOPE, AND FAITH!! I ASKED THEM,...NO, I BEGGED THEM TO COME. REPRESENTING THE YERBAS AND FLORES. AND FALDAS A MEDIA PIERNA DE TODOS COLORES. THEY ARRIVED WITH THE SNOW. THEY ARE HERE TO UNDO A SPELL. THAT HAS US FEELING SICK. WITH CRAWFISH FROM THE LAKE TEXCOCO. SOMEWHERE IN THE SELVA..AND EVERYBODY LOVES THEM. THEY REMIND ME TO BUILD UP A GOOD FUEGO. PLACE THERE INSIDE OF IT,A PIERDA LUMBRE. SO THEY CAN SEE THE MAL..LOS MALES. MIRA NOMAS LO QUE DICE LA PIERDA! SE FORMA UN SOLDADO, UN EMPLEADO UNIFORMADO! LOS GOLPEA Y LOS PATEA, MENDIGO DESGRACIADO! all rise to their feet looking at the piedra..
A CHANT, A CLAPPING OF HANDS,A CRY! THE WIND IS NOW HOWLING ,ASKS FOR PERMISSION N JOINS THEM! THE CLOUDS MOVE AWAY TO LET THE SUN IN..TONATIUN REINFORCES THE FIRE! WINDOW AS IF WANTING TO PEEK AT THE PIEDRA LUMBRE. ONLY THE MOUNTAIN,THE DEER NATION AND THE FROZEN PRECIPITATION. THE ALTAR LOOKS WELL DRESSED. THE ALTAR IS READY FOR THE TEST. IN A CIRCLE WITH A BREAK TO THE WEST. THAT HAVE ARRIVED TO ANSWER MY PRAYER. NOPAL NEEDLES,FEATHERS FROM QUETZALES,DOS MONEDAS DE ORO..
PLATA DE PERU..SILK FROM A NANA DE QUINTANA ROO..
UN RAYO DE LUZ, UN RELAMPAGO, UN ARCO IRIS,UN VENADO CALLED HIKURI! yA bASTA! THEY SCREAM TOGETHER DIABLO MALDITO SAL YA DE AQUI! A SPELL THAT HAS US ALL SICK. dime. ¿Qué quieren decir con eso? luego me ayudas a contestar. que no fue a la escuela, anda ¡habla! 1. 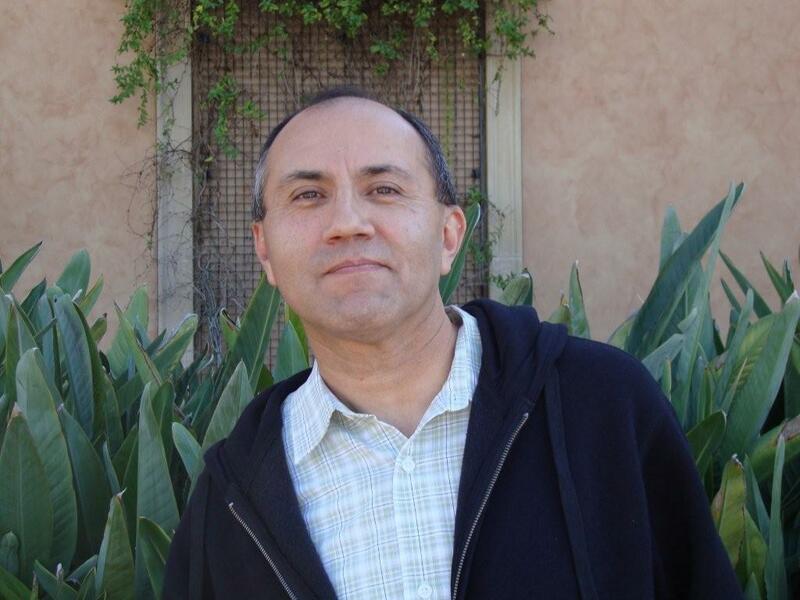 "Gandhi Came to Arizona" by Victor Avila Victor is an educator, poet and songwriter. He has been teaching for over twenty years in California schools. He is a widely published poet and a songwriter who's songs have been covered by many artists. Leticia Diaz-Perez was born in Virginia and raised in Michigan.She attended the University of Michigan, where she graduated with a BA/English and American Literature and an MA/Spanish and Latin American Literature. While at the University of Michigan she co-hosted "Radio Caliente" at WCBN FM , one of the first Latino radio shows in the Ann Arbor area. It was at WCBN that she interviewed Latino writers Pedro Pietri, Tato Laviera, Trinidad Sanchez,Sandra Cisneros and Piri Thomas-inspiring her to start writing and telling her story.Leticia has taught Spanish at the University of Michigan and in the Michigan public school system. She also taught in the New York City public school system, (4th grade bilingual teacher) where she had the opportunity to work with a group of beautiful children who had recently arrived from the Dominican Republic.Leticia is currently working on her first book of poems, "Sugar from the Sky". Born in México, in the State of Nayarit. Scorpio in Sun and under the Brilliance of a Full Moon Light. Her Love for Nature and Poetry in action, began very early and became her refuge, a tool to help her cope with the hostile world, that at times, she lived in. She lived in Tijuana, Baja California; during very important formative years. Immigrated to The United States at the age of 19. San Diego California has been her Home for the last thirty years. Victoria is a Certified Bikram Yoga Teacher, and an avid practitioner of the same yoga she teaches. She believes in the therapeutic, healing power of Yoga, Meditation and Poetry. But above all, She believes that her loving family is her Greatest accomplishment and gift. A "Perennial Student of Life" is how she prefers to see herself. and because she believes in the power of the spoken and written word, and because she passionately loves what she does; when she is asked, "how was work?" "I do not work... I Write, I Love, and I TEACH." Ten years ago, at the age of 41, I did something that forever changed the trajectory of my personal life. Ten years ago, I published my first book, The Courtship of María Rivera Peña, a novella loosely based on my paternal grandparents’ migration from Mexico to Los Angeles in the late 1920s. It garnered a few nice reviews, but didn’t sell many copies. And the small Pennsylvania press that published it eventually went under so that the book has now gone out of print. Here it is, 10 years later, and I’m still a government lawyer married to my law school sweetheart. Our son is in college and becoming a fine, interesting young man. But my first little book put me on a road to something so exciting and emotionally fulfilling that it holds a special place in my heart. That road has taken me to the publication of three short-story collections and one children’s picture book. My fiction, poetry and creative non-fiction appear in eight anthologies, including in two published by the venerable W. W. Norton & Co. Next year, the University of Arizona Press will publish my first full-length novel, The Book of Want. 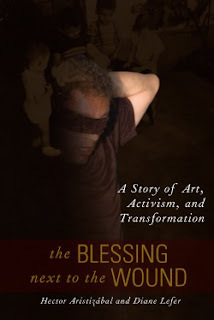 I’ve also become a recognized book critic for several publications including the El Paso Times, the MultiCultural Review, and a nationally-recognized blog on Latino literature, La Bloga. My books have been studied by undergraduate and graduate students across the country at such institutions as Rutgers, Ohio State University, the University of Wyoming, and the University of California, Irvine, to name a few. Scholars cite to my fiction and interviews in books on Latino literature. I’ve edited a landmark anthology of Latino fiction, Latinos in Lotusland, and my first poetry collection is making the rounds with publishers. On many levels, this second act has come along with a bit of irony. 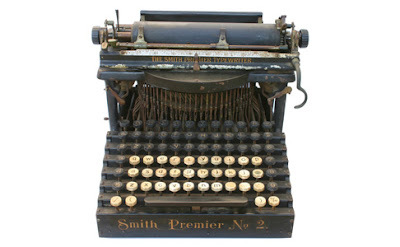 When I majored in English at Stanford University (back when my hair was long and we danced to the Bee Gees), I had no intention of doing something as risky as “becoming a writer.” In fact, I purposely avoided taking any creative writing classes because I thought that it would be a frivolous thing to do. So, I went to law school, spent a few years in private practice, and then in 1990, I was hired into the Public Rights Division of the California Department of Justice. I’ve been there ever since. But I always loved writing. As a law student at UCLA, I edited the Chicano Law Review and published a piece on an important immigration court decision. As an attorney, I’ve written many articles for the Los Angeles Daily Journal on such subjects as civil procedure, law and motion practice, and environmental enforcement. And, of course, every day at work, I write briefs, legal memoranda, and letters to opposing counsel. The written word filled my world. Then, in late 1998, I started that first little book, a novella based on family history. 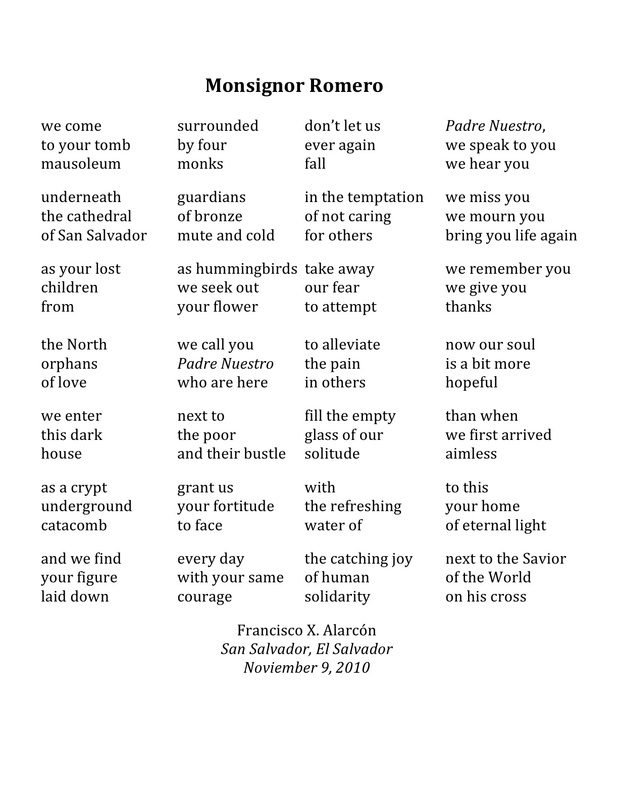 I wrote about the great joys and sadness in life and explored what the immigrant experience must have felt like for people such as my grandparents who came to California from Mexico almost a hundred years ago. When I completed the novella in 1999 and sold it to a little press in Pennsylvania, the creative writing floodgates opened. I couldn’t stop writing fiction. As my short stories started getting published in literary journals, I began to dabble in poetry, and then book reviews. I’m certainly not the first attorney to write fiction. We all know about Scott Turow and John Grisham. But there are also Latino and Latina lawyers who have made their mark as writers such as Michael Nava, Yxta Maya Murray, and Nicolás Vaca, to name but a few who live and write in California. These attorneys all have excelled in the legal profession yet they also have been recognized for their evocative and often provocative books that explore the Latino experience from decidedly different angles. My “other life” has led me to experiences that have been markedly different from my life as a lawyer. I’ve read fiction and poetry at high schools, colleges, bookstores and scholarly conferences. This has introduced me to lovers of literature, which by itself, would be enough to validate my second act. But I’ve also had high school and college students, many of whom are Latino, come up to me after readings and tell me that they want to write. These bright, eager young people see my second act as something they want to do as their first act. My response is always the same: If you want to become a writer, stay in school and read, read, read. I don’t regret waiting until middle age to become a writer. In many ways, I think my fiction and poetry are deeper and richer because I’ve lived more than a few years as a husband, father and (yes) lawyer. And I admit that my second act has been a surprise to me, my family and my friends. But I’ve learned that life can be surprising. Who knows. Maybe there’s a third act in my future. The Blessing Next to the Wound: A Story of Art, Activism, and Transformation by Hector Aristizábal and Diane Lefer. Lantern Books, 2010. Available in paperback and e-book format for Amazon’s kindle. Posted by tatiana de la tierra at 1:44 AM 0 comments. Click here to leave a comment. I think we need to make Norman Spinrad an honorary Chicano. His novel of the conquest of Mexico, Mexica, is the reason. It was published in Spanish in Mexico, where it was a bestseller. A film is in the works, in English, from El Uno productions. Those are things that not many Chicano/Latino writers have accomplished. But, before you go online or to you're favorite bookstore to grab a copy, don't bother. This amazing novel is not available in English, or in America. Seems that Nueva York has treated Norman Spinrad like a Chicano.
. . . American readers wouldn't be interested in an historical novel about the key event in Mexican history, this in a country where there are at least 40 or 50 million Mexican-Americans fluent in English whose very culture and ethnic identity were the result. Yet Mexica has a potential appeal far beyond the Latino Lit market. It's one of those books that has everything. Not just a bit of ethnic studies and historical curiosity, this rather straight reportage of the Conquest is more fantastic than the best science fiction and fantasy. It makes Star Wars and Lord of the Rings look mundane. There's action, adventure, horror, even romance. You want wild entertainment? Well, here it is! Marina, who had been Malinal, smiled at Alvaro de Sevilla, who had been Alvaro Escribiente de Granada, who in his heart was still Avram ibn Ezra or in truth Avram ben Ezra. As history goes on, identities change. Maybe that's what Nueva York is afraid of . . . So why am bothering you with all this, if you can't buy this book? Well, the good news is, you can! But not in the old way. Spinrad has released Mexica as an ebook. Nueva York's days as the literary capital of the world are numbered. A revolution has begun. And the changes that will come for readers, writers, and publishers will be comparable to those that happened when Cortes conquered Tenochitlán. Go now, and join the revolution. Ernest Hogan has been a fan of Norman Spinrad since The Last Hurrah of the Golden Horde, and No Direction Home. 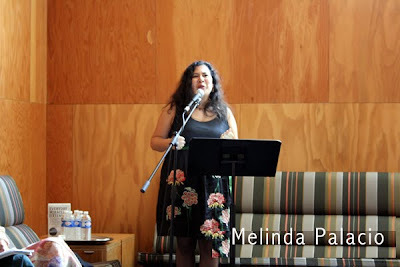 La Bloga welcomes poet, novelist, essayist, photographer Melinda Palacio to the ranks of our blogueras blogueros. During Manuel Ramos' absence, Melinda Palacio will be our regular Friday columnist. In future, Manuel will share La Bloga-Friday space with Melinda. She continues to be a big hit as last year marked the 25th anniversary edition of her first novel, The House on Mango Street. The title of her UCSB talk was “Writing in the Time of Mexiphobia, or Packing Your Papers.” Given the hostile laws that discriminate against Mexicans in Arizona, Sandra stressed the importance of Buddha and Thich Nhat Hanh. Her solution, appropriate for this week of Thanksgiving, is to write love letters to our failing politicians. She read a chapter from her new book in progress, Writing in Your Pajamas. This pajama business is serious, but cozy. Sandra stressed the importance of setting a comfortable space for writing. During her last visit to Santa Barbara, she recalled how cold our seaside town was in the evenings and mornings. I bet she was toasty in her flannel jammies. 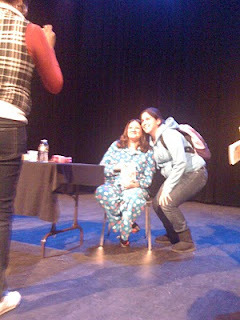 She took a poll to ask who in the audience had also worn their pajamas. A few hands flew up. I would’ve arrived in my pajamas too had I been given the jammie memo. The pink fleece I’ve taken to wearing this time of year can be mistaken for pajamas, especially when I don the matching fuzzy pants. This was my first time hearing Sandra speak. I was extremely curious because I have often been compared to her. People tell me, you sound a lot like Sandra Cisneros. I am, of course, extremely flattered by the comparison, but, as I listened, I wondered if I sounded like her. Maybe, the two or three people who have made the comparison were being polite. La Sandra spoke with childlike innocence, even while reading her mature short story about Mrs. Frida Kahlo Rivera. From Sandra’s photographs, I expected a woman with a huskier voice. Something about her photographic gaze says cigarette smoker, prefers beer to sweet wine, but her voice says bubblegum and pajama parties. Comfort, sincerity, and brotherly love were the main themes of her talk. She promised not to disappoint, and she did not. 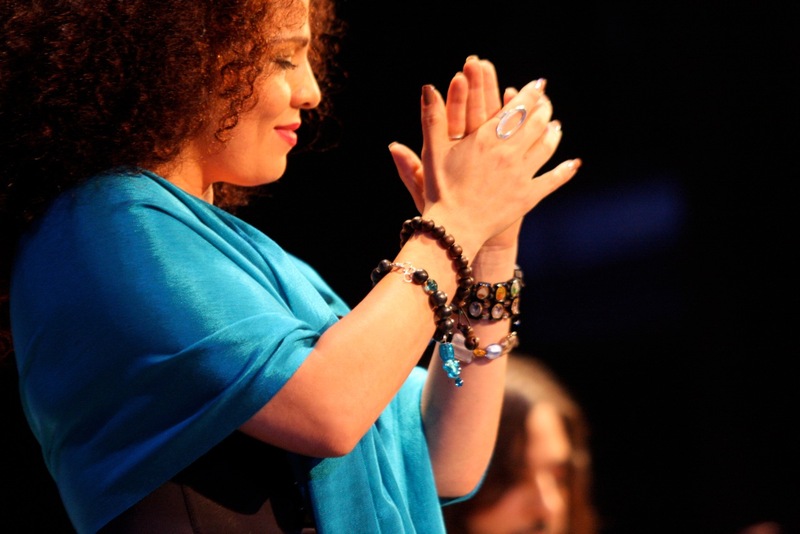 She regaled the audience with family stories and a message of peace. Perhaps if we all went to work in pajamas the world would be less hostile and our neighbor, Arizona, would stop spreading fear and hatred. Posted by Melinda Palacio at 12:00 AM 14 comments. Click here to leave a comment. messages from La Bloga's weekly contributors. . . I thank God for many things, including those things we no longer have (in office). Be thankful for what you ought to be thankful. Everything else, you earned. "Gracias a la vida que me ha dado tanto" is a very popular Spanish ballad. Gracias a la vida for our familias, traditions and dreams. Gracias for ganas for a better future. Open you window and celebrate saying, "Gracias" and hugging your loved ones. If they are not near you, call them or remember them in your pensamientos and memories. This year it all comes down to family. My birthday usually falls on or around Thanksgiving. I am grateful for having been blessed with a wonderful mother. 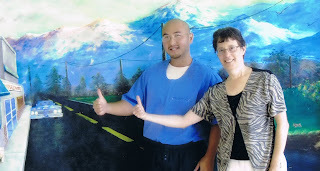 I thank everyone who helps me take on another day without Blanca Estela Palacio, 1949-1994. Consider all the things you have to be grateful for that were not your doing and that you need to thank someone else for. And remember those who have little to be thankful for, especially if it wasn't of their making. Oké, oké . . . a bullfight video on Facebook got me woken up enough to do this. A lot of good things keep coming my way despite all the flying caca in the world. I hope all of you catch more of the good stuff! 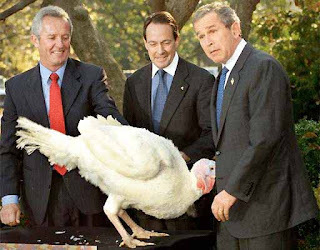 Now, bring on that sacrificed turkey . . . The origin of the Thanksgiving holiday unsettles me, but I do groove on the “attitude of gratitude.” Recently I attended a “Love and Healing” session with Galexis, a group of channeled beings, on the topic of thanksgiving. 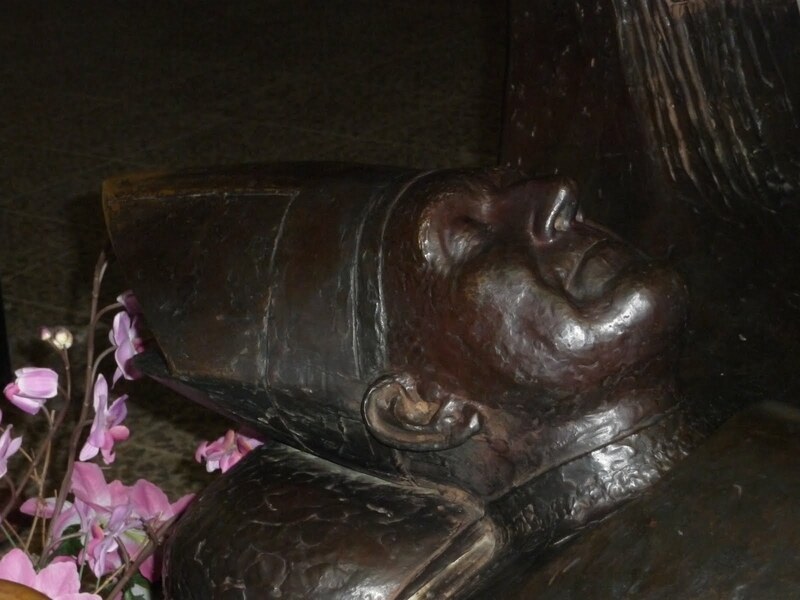 Here are a few snippets of what Galexis said: “When you are in a state of thankfulness, when you are in a place of gratitude, you are more open than ever to the energies of receiving. Giving and receiving are a pair; you can’t have one without the other.… When you are in gratitude, what you give comes from the heart. You can receive to your heart, to spirit, to soul, you can receive to nurture yourself.… Healing yourself can be done beautifully using the power of gratitude… Thanksgiving is a celebration of abundance. ‘Thanks giving’ is giving thanks to that which gives to you the divine in you. It gives thanks to others for being part of your life. It’s giving thanks for the financial support, for the resources, for the bounty that has come your way. It is an appreciation of the spirit of all things in all things. Gratitude is a celebration of oneness.” For me, I’m grateful for my life, my friends and family, and for this beautiful Earth that I get to frolic in. Posted by Contributing Bloguistas: at 12:25 AM 1 comments. Click here to leave a comment. Last year, I completed illustrations for my first picture book. 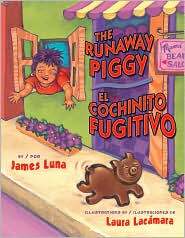 The Runaway Piggy, written by James Luna (Piñata Books / debuts Nov. 30, 2010) is a Latino take on the Gingerbread Man story, featuring a Mexican sweet bread cochinito (piggy cookie). 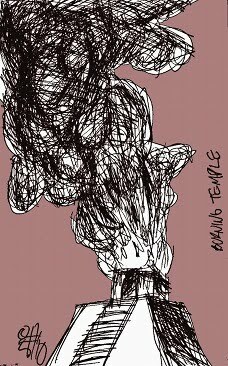 I had been sending postcard samples of my art to Piñata Books (an imprint of Arte Público Press) every six months or so for several years. I had never heard a peep from them until I received an email from the production manager asking if I would be interested in providing Piñata with a “character concept” for a new bilingual picture book called, The Runaway Piggy. I was thrilled! There were other artists trying out for the same job (four illustrators total, I later found out). Piñata would choose one illustrator based on the character concept they submitted, and that person would win the contract to illustrate the book. I jumped at the chance to break into children’s picture book illustration -- a long-held dream of mine. 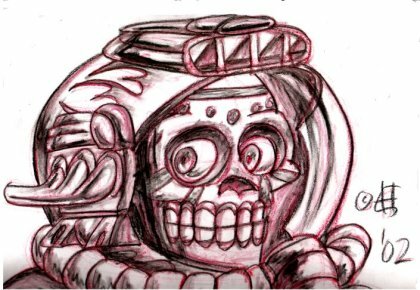 In order to execute the black and white character concept “audition” drawing, Piñata provided me with the manuscript and requested that I select a scene from the story to illustrate. I purposely chose a scene of medium complexity -- one that showed a lot of action, yet would not require a huge crowd or an aerial perspective. I worked almost one month on the research and creation of the drawing I would ultimately submit. One of the biggest challenges for me with that first drawing was that the story was set in an inner-city neighborhood. I had avoided rendering buildings or cityscapes my entire artistic career. I had always been most comfortable drawing and painting “organic” earthy figures and shapes. Well, I needed to say goodbye to comfort and face my fears head on. I knew if I were going to draw buildings, I would have to find a way to make the buildings work for me, to somehow translate them into my own style. One morning, on a walk through my neighborhood in Venice, Calif., I took a turn down Abbott Kinney Blvd. I noticed the unique mixture of quaint and artsy-hip architecture, which created an atmosphere of a city street with a small-town feeling. I took out my notebook and pen and made sketches of my favorite doorways, windows and awnings. When I got home, I began doing the rough sketches for my concept drawing. At first, the buildings looked too stiff, as I had feared. That is when I stopped to look at other picture books for inspiration. This usually helps me free up and loosen up. It worked -- the solution was simple! I would curve the lines of the buildings and streets and make them just as alive and organic as any of the figures. The sketch was finally coming together. Now, all I needed to do was to create the mischievous piggy cookie that would run through the streets, eluding the townspeople at every turn. When I first got the manuscript, I was familiar with some Mexican sweet bread, but I had never heard of cochinitos (piggy cookies). Being from a Cuban background, I grew up eating pasteles de guayaba, frituritas de papa, and flan. A trip to the neighborhood Mexican bakery was in order. (Hey, it was in the name of research!) I bought my first piggy cookie, took it home to study, make sketches based on its simple piggy shape, and, of course, to enjoy it with my morning coffee! 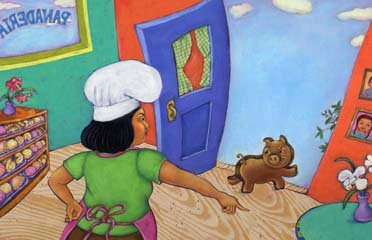 Next, I collected photo references from the web of more Mexican sweet bread cochinitos (no two bakers bake alike), of actual pigs running, and, finally, illustration samples from traditional Gingerbread Man books. Combining all these visuals helped me come up with an animated version of the piggy cookie. Then, to figure out how the cookie would look in action -- from different angles and positions -- I made a clay model of my piggy and used it to further develop the character in my drawing. OK, so all this may sound like a lot of work, but, in the end, it paid off. Two weeks after submitting my drawing, I received an e-mail telling me that my character concept drawing was chosen, and I had won the Piñata contract to illustrate The Runaway Piggy! I was so excited, I ran around my kitchen like a piggy with its head bitten off! I was on my way to becoming a full-fledged picture book illustrator. The character concept I had spent a month perfecting set the stage for the rest of my work on the book. I had visually established a town, some of its local residents (Lorenzo, the mechanic, and Mama Nita, the beauty shop owner) and the animated piggy cookie that would race through every scene. After signing the contract with Arte Público/Piñata, the many months that followed of sketches, final drawings and paintings were as exhilarating as they were exhausting! I breathed a huge sigh of relief on the day of that final brush stroke, but nonetheless, it was a bittersweet goodbye to The Runaway Piggy. Luckily, there is a recipe in the back of the book, so I can bake my own cochinitos at home. And, if one of my homemade piggy cookies should happen to escape, it just might be found running down Abbott Kinney Boulevard. 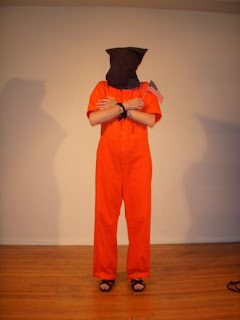 JAMES LUNA is an elementary school teacher in Riverside, California. This is his first published book. LAURA LACAMARA is a Cuban-American artist and author. Floating on Mama’s Song / Flotando en la canción de mamá, her picture book illustrated by Yuyi Morales, was published by HarperCollins in 2010. The Runaway Piggy is the first picture book she has illustrated. Laura lives in Venice, California, with her family. Posted by Rene Colato Lainez at 12:24 AM 10 comments. Click here to leave a comment. Don’t know which way to go, which direction. La Frontera is my crossroads. To the east –I invoke Yemaya! my hair soaks the smoke. I’ve smudge an x of ash. My body is a crossroads. The wall has not split me into. Dressing up before the antique dresser. But she had me right from the start. In here it is the phrasing that is twisted. Yes, my broken dreams were always big. Which way was out I wondered? Her eyes were weary of interpretation. Recite some sort of wicked verse. Her voice was some enticing serenade. The rising smoke a ship with pirate’s flag. Taunting me to give some sort of chase. But still I didn’t say a single word. I see you constantly leaning into the light. As she swallowed me whole with the corner of her eye. Turning she asked me, “So what is the plan? She reached for the bottle and poured me a drink. In the sea of commotion that just disappeared. Past her chocolate red lips every time that she spoke. Or is it perhaps that you’re showing resistance? Where it all shrinks down into the vanishing point. I took in the madness then sunk her third ship. Then her sea of commotion that ran into dry soil. For the edge of existence that recedes into forever. The head of her gargoyle after it let out one final roar. “The pleasures of life come to those that hold me. Or was it to those that don’t play keep away? And there was no chance her gargoyle keep its own mind. She went on, “Everyone gets over their initial nervousness. She could tell I was looking to somehow spread dawn. Right into the realm that simply keeps going. She asked, “Why go upstream if you know you’re not rowing? ”I saw her straight on and then I just grunted. She knew I admired both the petals and the thorns on the stem. As I went against everything coming toward me. But this was the first time these opposite forces have met. I wondered how she did it to quench every petal. As the rapids descending beat against my chest. Who would have known the whole thing could have been cursed? I reached for the liquid red velvet and quenched my thirst. And just as usual I was not paying too much attention. Into a whirlpool vortex spun right into oblivion. And maybe I was thinking it was all in my imagination. In a visionary way I felt I had somehow made it. In an ancient conspiracy that brews the right blend. With her inner thigh flashing and the moment so young. I felt her soft lips and the ceiling went around in a spiral. To the point where surrender was a dead man’s confession. As she plunged an obsidian blade just under my chest. The light poured out in one flash as I got pulled under. With my last words lost back there not worth repeating. To the place I find myself in with my heart in her woven bag. 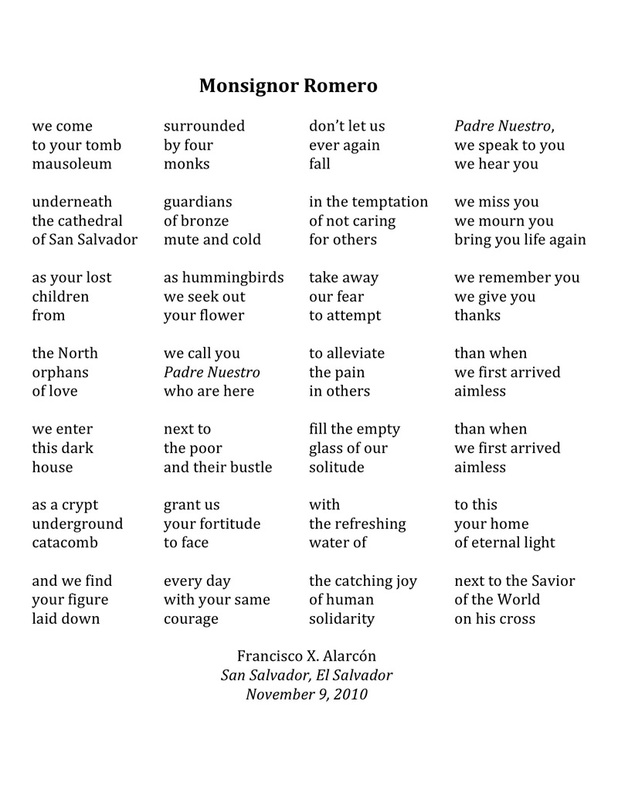 Excerpt from "La revolución emplumada | the revolution is to be human"
(La Bloga editor's note: click the image to read "Monsignor Romero" in larger type). 1. "Cross Roads" by Poeta Power La Erika is Erika Marie Garza-Johnson. She is from Elsa, Texas a small town in the southern tip. La Musa Gloria Anzaldua inspired her to write the poem "Crossroads" while she was at the Mundo Zurdo Conference at UTSA. La Erika is an MFA candidate at University of Texas Pan American in Edinburg. Her work has appeared in Border Senses, LUNG, and The Texas Observer. Currently, she resides in McAllen, Texas with her two kids, two cats, one dog, a step-son and loving husband. Manuel Lozano, self-taught writer and artist, lives in El Paso, “El Chuco,” Texas, cradle of the pachuco. Manuel writes traditional verse “to the rhythm of the Matachines.” His work has appeared in Xican@ Poetry Daily and La Bloga. 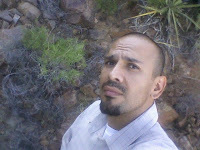 Visit his blog, Manuel Lozano: Xicano Writing, at www.manuellozano7.blogspot.com for more information. 3. Excerpt from "La revolución emplumada | the revolution is to be human" by Arnoldo Garcia. Araceli Collazo es autora y cantante, una combinación que no se da todos los días. Como poeta, escribe versos emotivos, a menudo relacionados con las relaciones amorosas. Como cantante, da voz y modalidad a dichos versos. 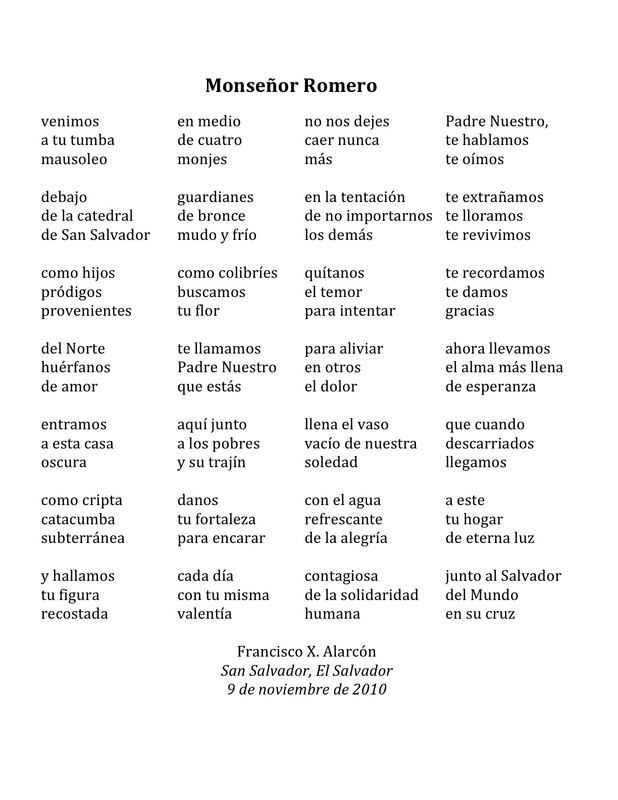 Su poesía ha sido publicada en Ventana Abierta, Explicación de Textos Literarios, La Guirnalda Polar, Voces del Nuevo Sol (Voices of the New Sun), Cruzando Puentes (Antología) y demás revistas literarias en Estados Unidos y México. 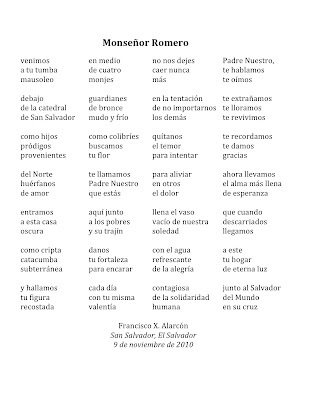 Así mismo, tiene publicada una colección de poemas bajo el título de Escenas… como de película vieja. Los que conocen su poesía en ese medio, sin embargo, la han oído en las veladas literarias (tanto formales como informales) y conciertos de todo tipo. De hecho, Araceli Collazo ha presentao su música y su poesía también en radio y televisión, en México y Estados Unidos. La fuerza de su canto y la expresión lírica de sus versos halagan al público. Nuestra cantante poeta revela su talento en su pasión por la vida, en general, y por la música, en particular, música que sus raíces latinas le han inculcado a través de su proyecto Paloma Negra, mediante el cual promueve una fusión de canciones tradicionales y ritmos de todo México y Latinoamerica ricos en percusión y otra instrumentación como cuerdas, violín, bajo, tabla Hindú, Cajón Peruano, etc. Así, demuestra que su aprecio por los estilos musicales de otras tradiciones es patente. Araceli Collazo experimenta y explora diferentes géneros y estilos, dando voz a diversas formas musicales como Boleros, Son Cubano, Rancheras, Jazz, Blues, Rock.. y hasta cumbia, añadiendo a cada uno un toque muy personal. Además de escribir canciones para su propio repertorio, ella ha dado letra a las composiciones que han sido utilizadas y musicalizadas por artistas de pop y artistas gruperos, como Lidia Avila, Rosalia, Ex Alumna de La Academia y otros. Por ejemplo, Araceli también escribió la letra para Tristeza, una bella melodía de Christine Bonner para su disco Sand Castles. En su última colaboración "Siete Escritores Comprometidos", Araceli Collazo presenta a penas una parte mínima de su producción como poeta y cantante. No obstante, con ella se puede ver de sobra el talento y la pasión del artista.